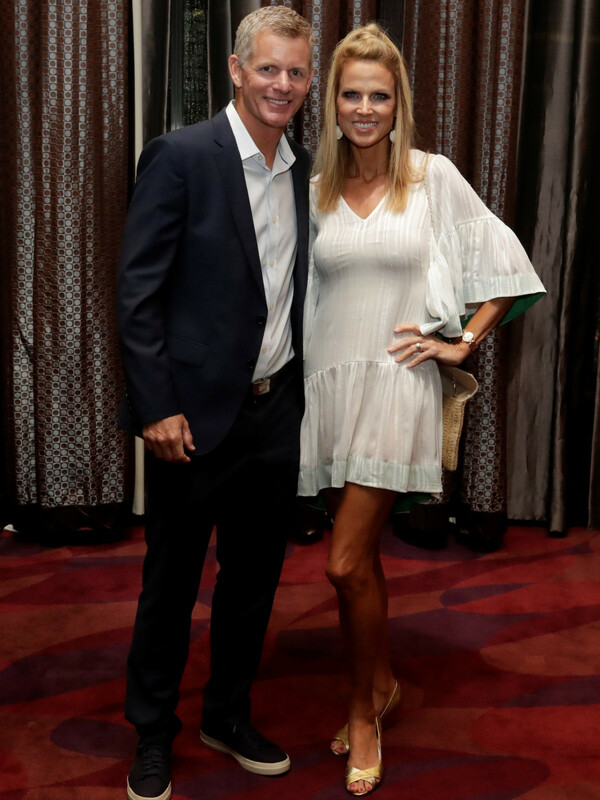 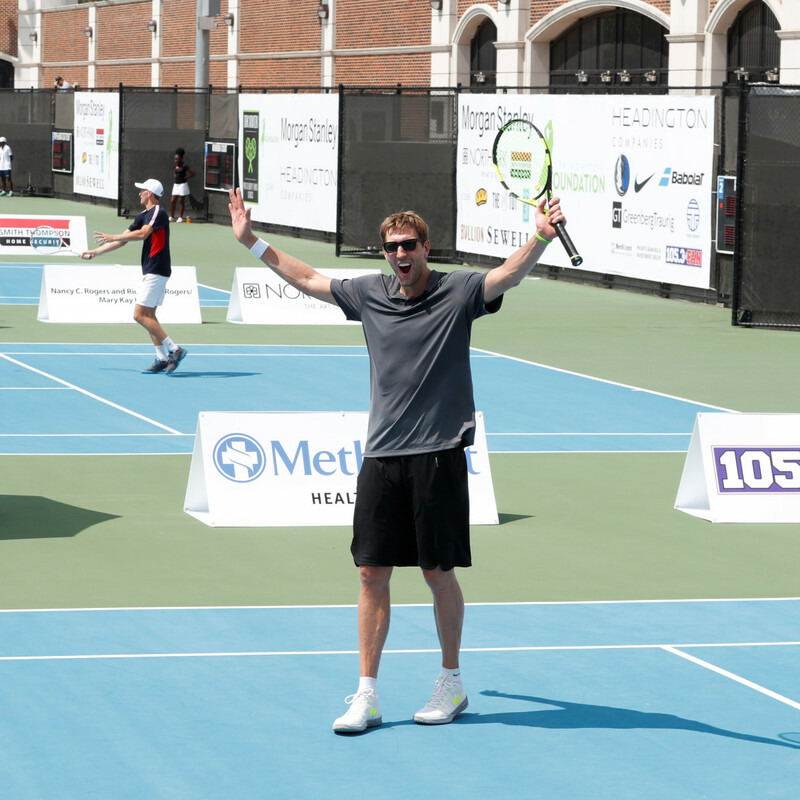 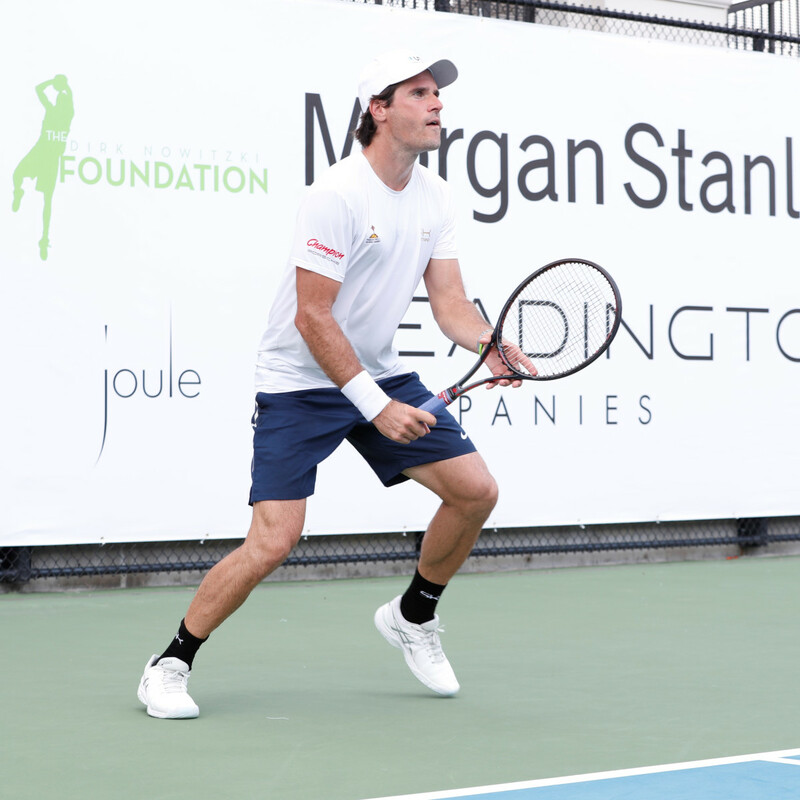 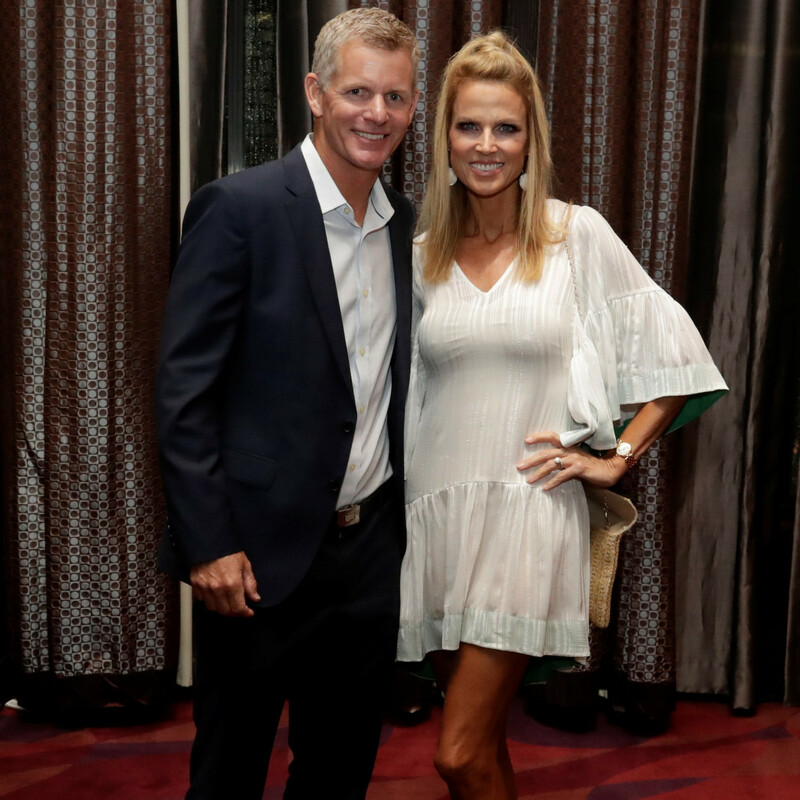 Just 24 hours before players in the third annual Dirk Nowitzki Pro Celebrity Tennis Classic took to the courts, rain and gray skies had event organizers glued to the radar and crossing their fingers. 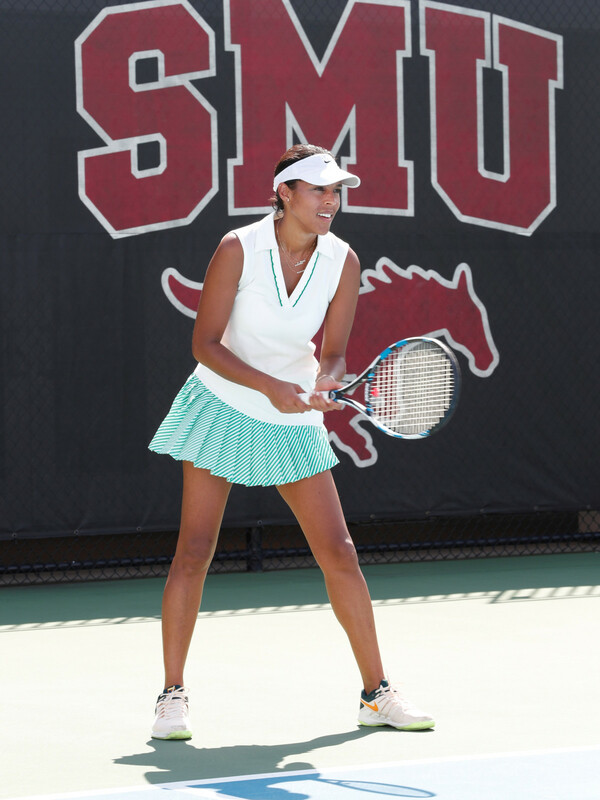 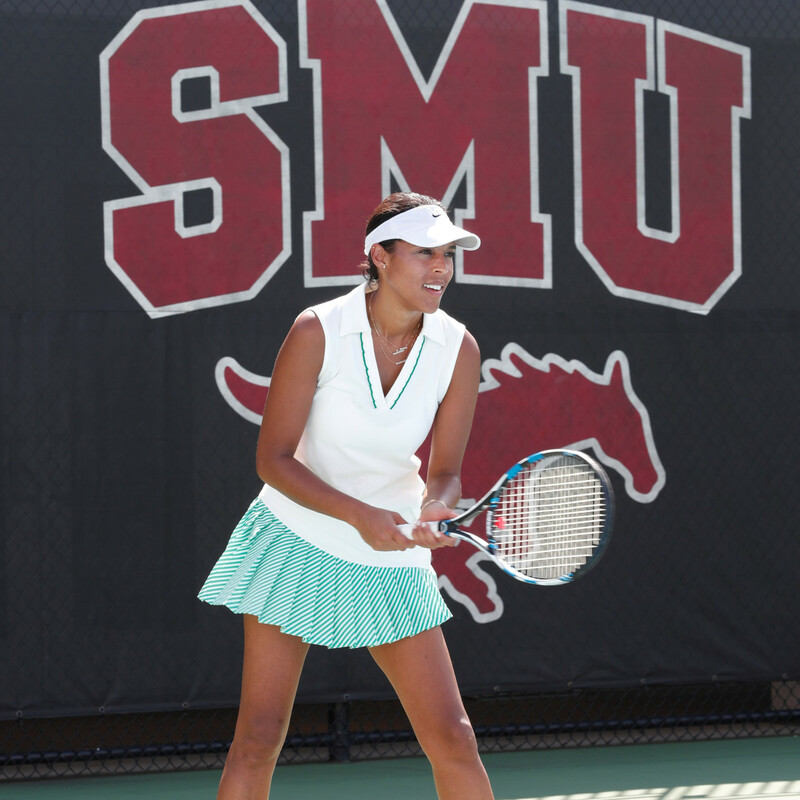 By the morning of the tournament in mid-September, however, blue skies had prevailed and fans began pouring into their seats at the SMU Tennis Complex. 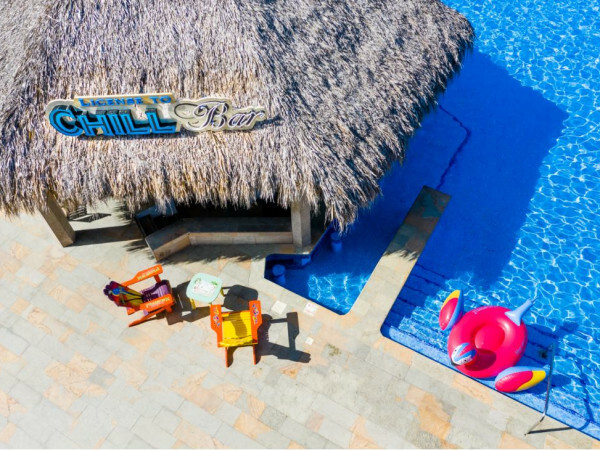 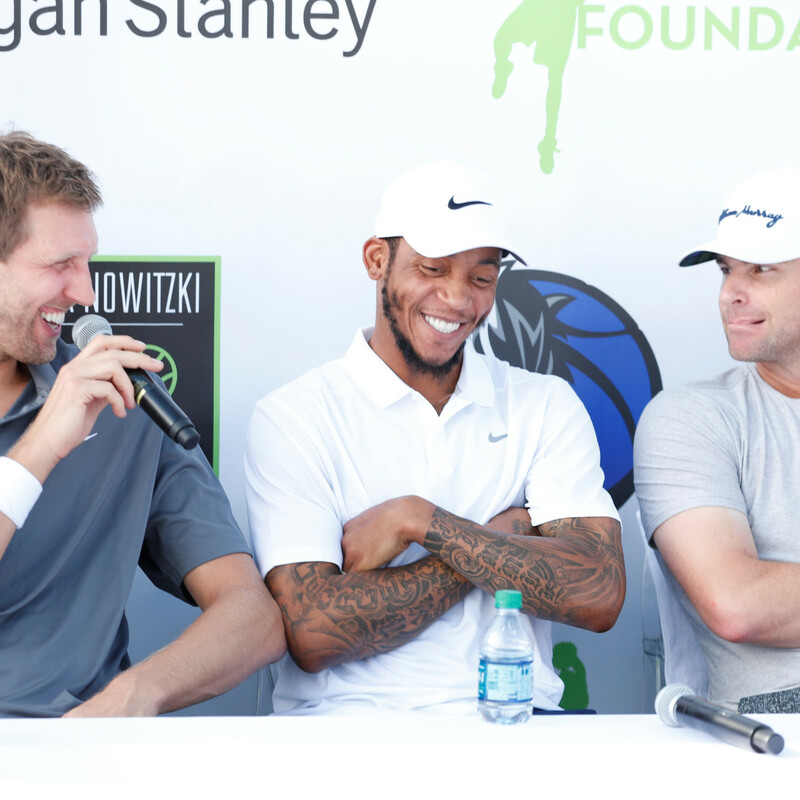 The annual tournament raises vital funds for the Dirk Nowitzki Foundation. 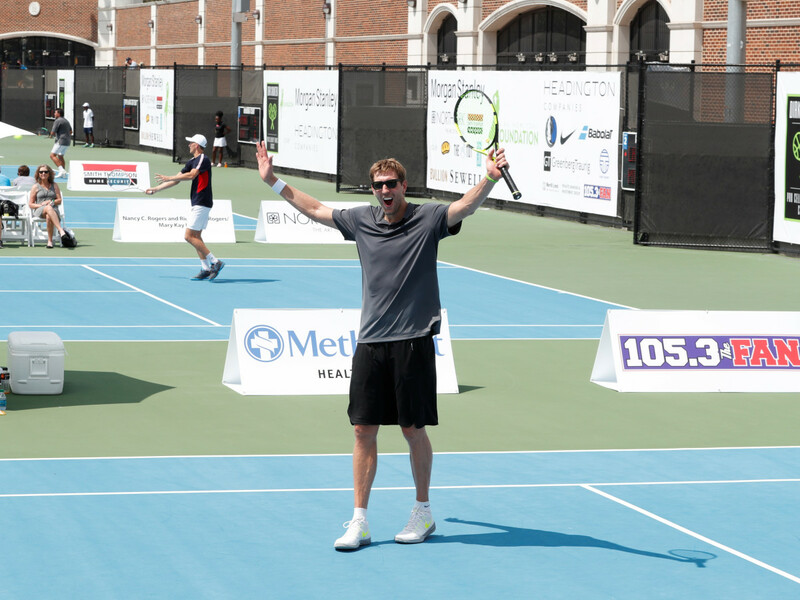 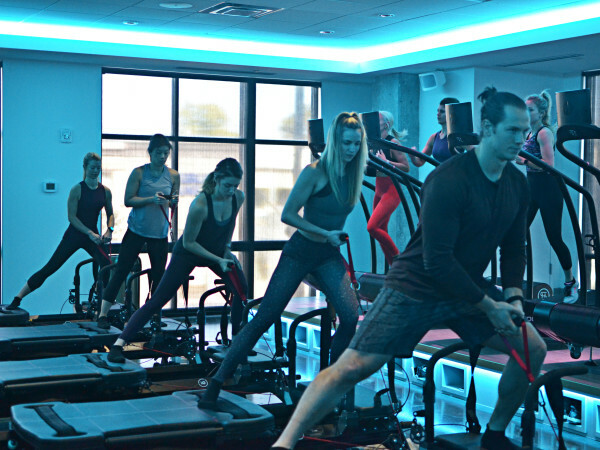 At a pre-tournament press conference, the beloved Dallas Mavs champ joked with celebrity friends and players — including tennis legends Andy Roddick, Mark Knowles, Tommy Haas, and Taylor Dent; pro wakeboarder Steel Lafferty, and Dallas Mavericks Devin Harris and Dwight Powell. 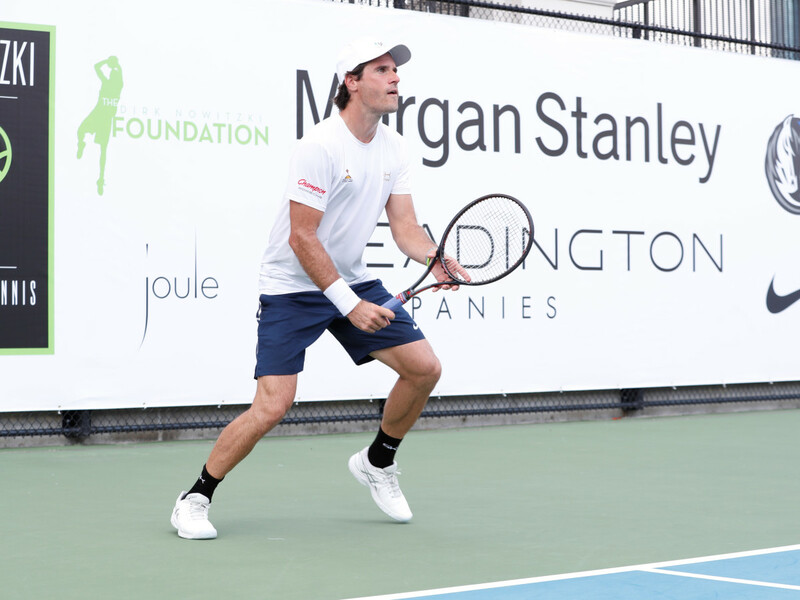 Then the competition got serious. 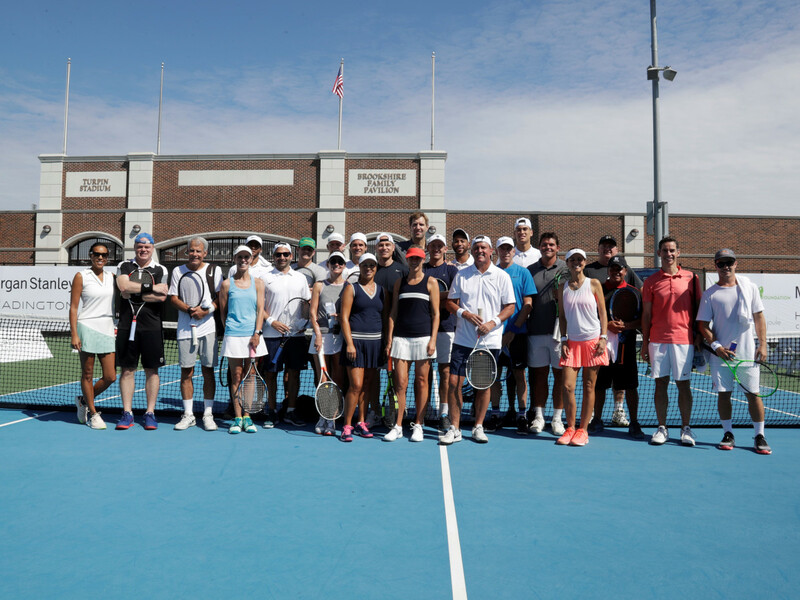 As celebrity and amateur players took to the courts, emcees Ben & Skin from 105.3 The Fan provided play-by-play commentary and interviews. 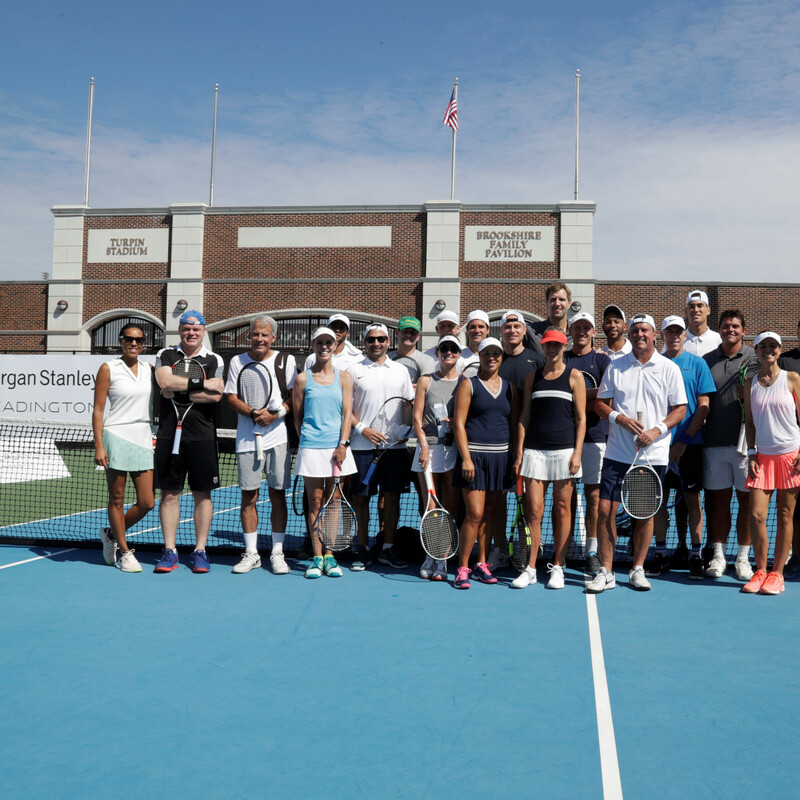 In the final round, former tennis pro Mark Knowles and amateur Camelia Georgiana Marta defeated tennis pro Mitchell Krueger and amateur Jessica Nowitzki, 10-5. 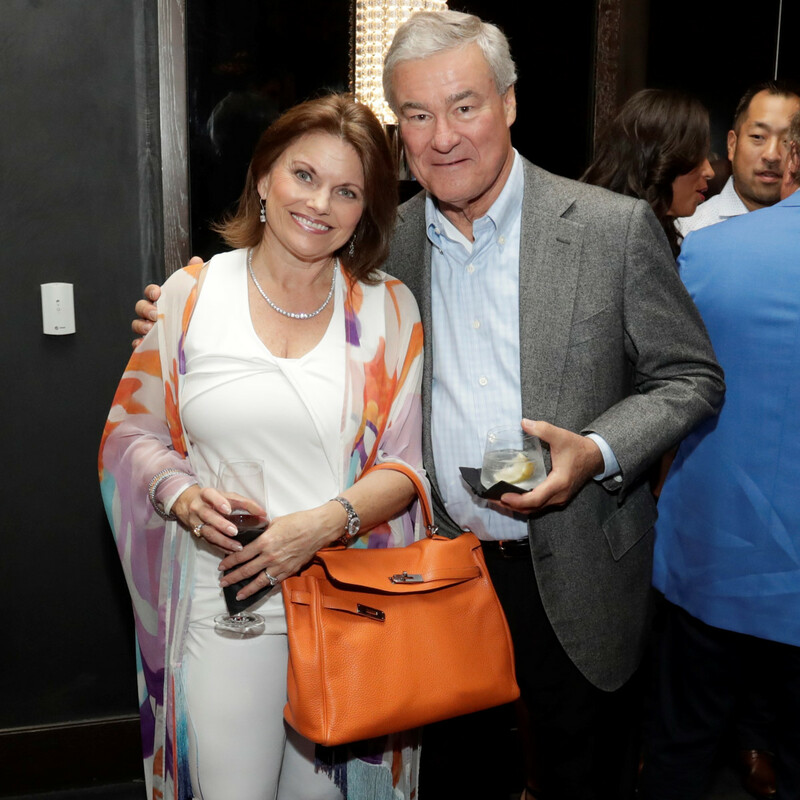 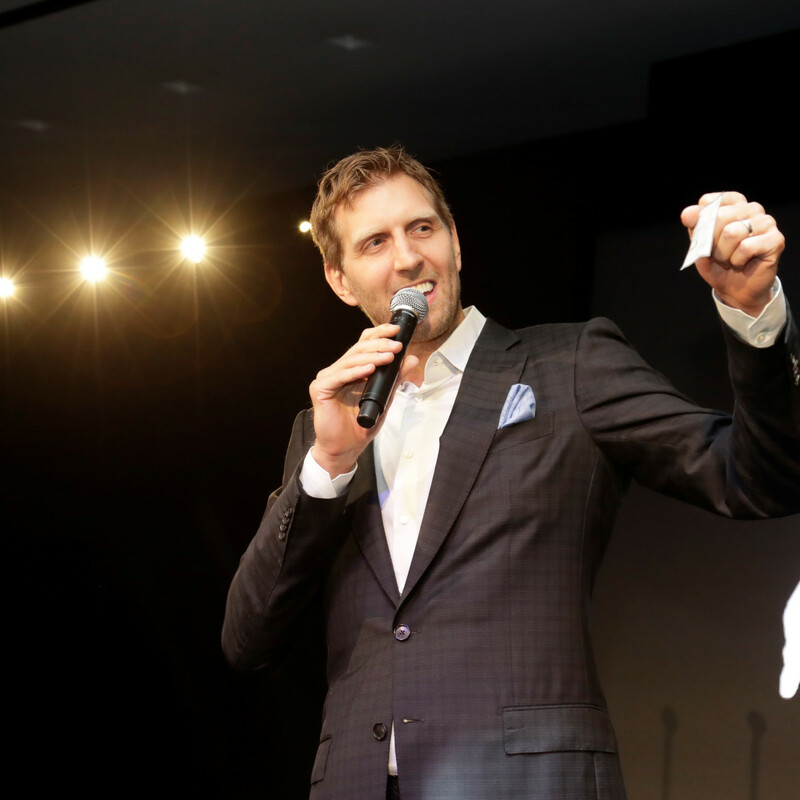 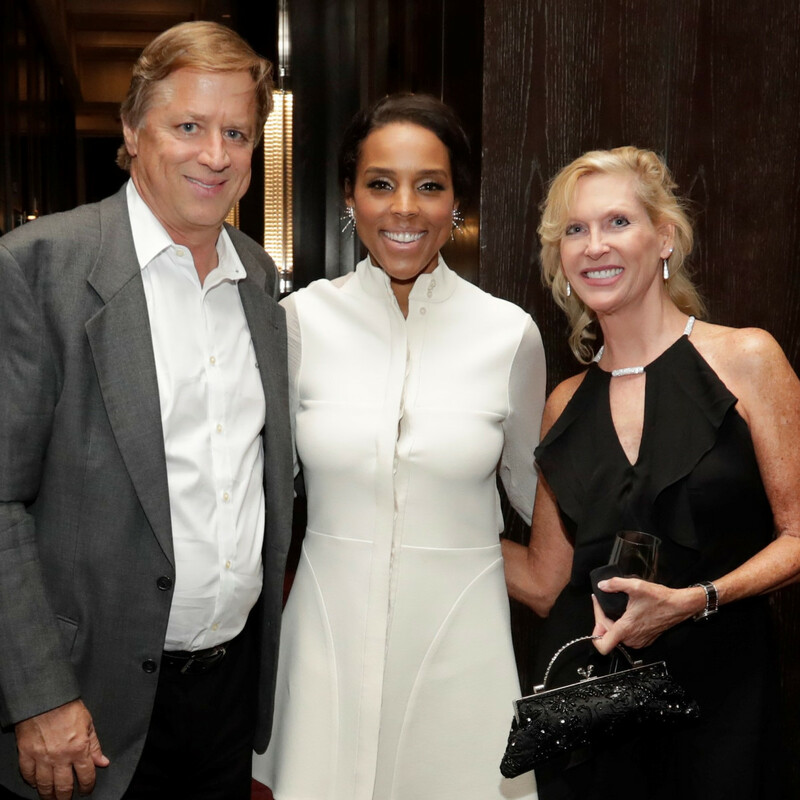 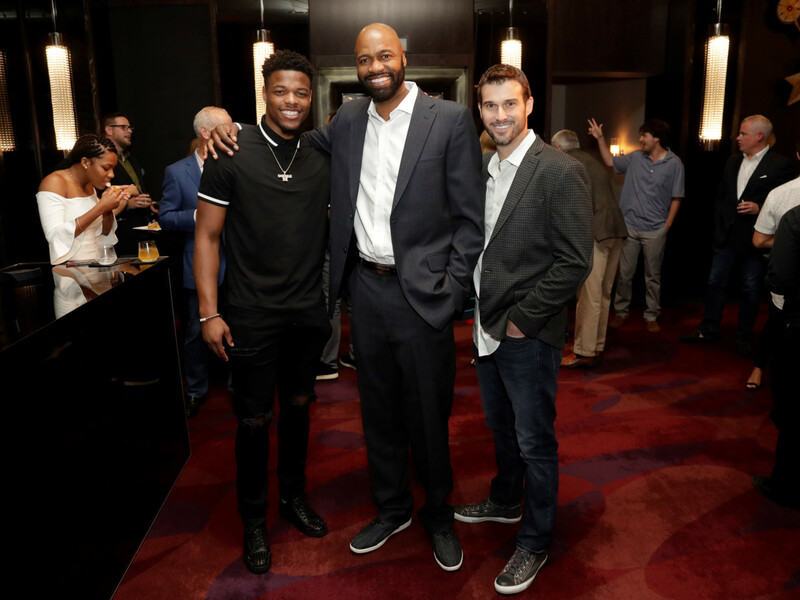 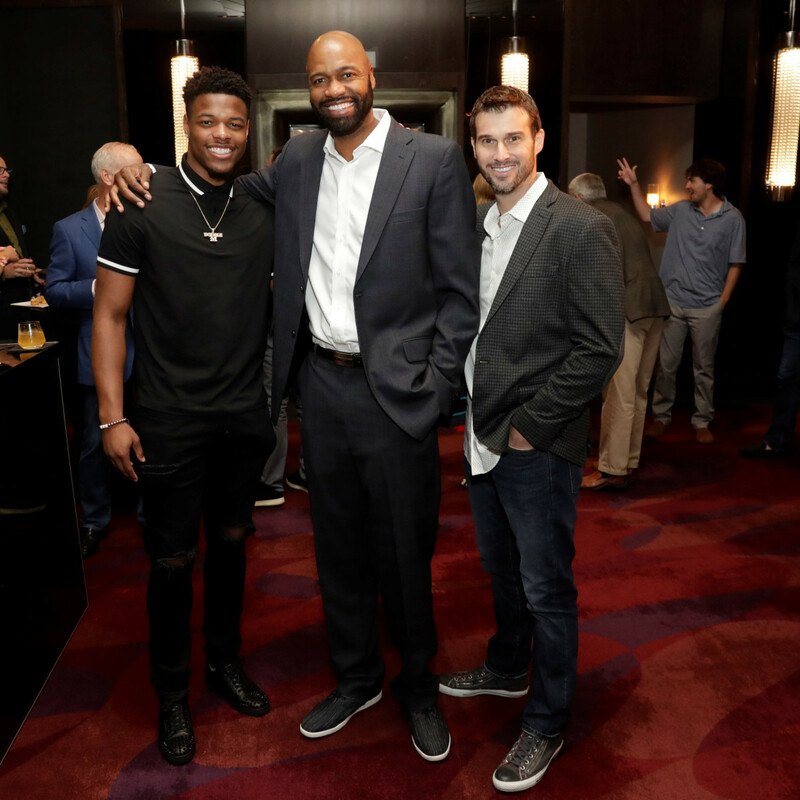 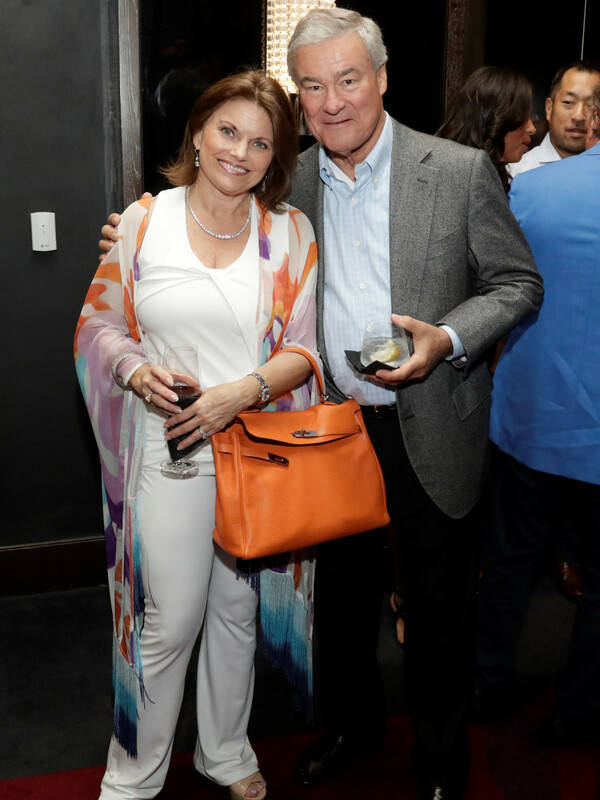 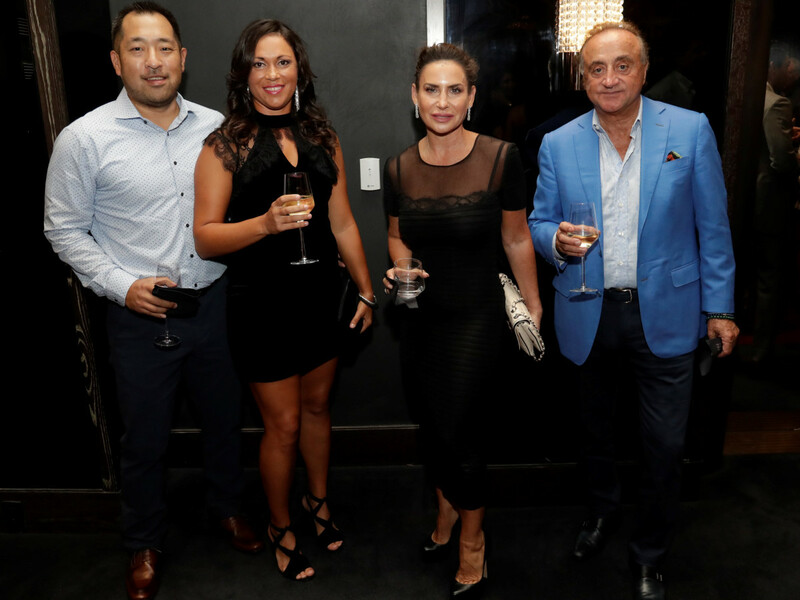 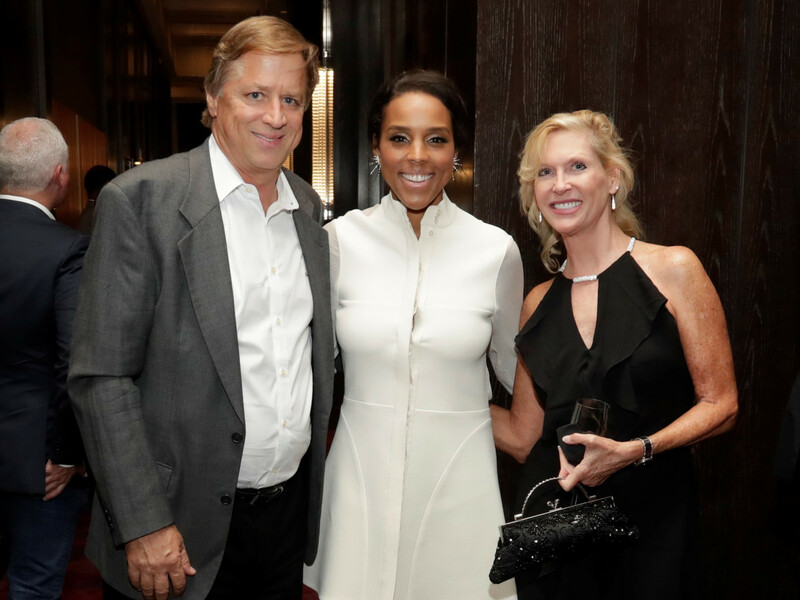 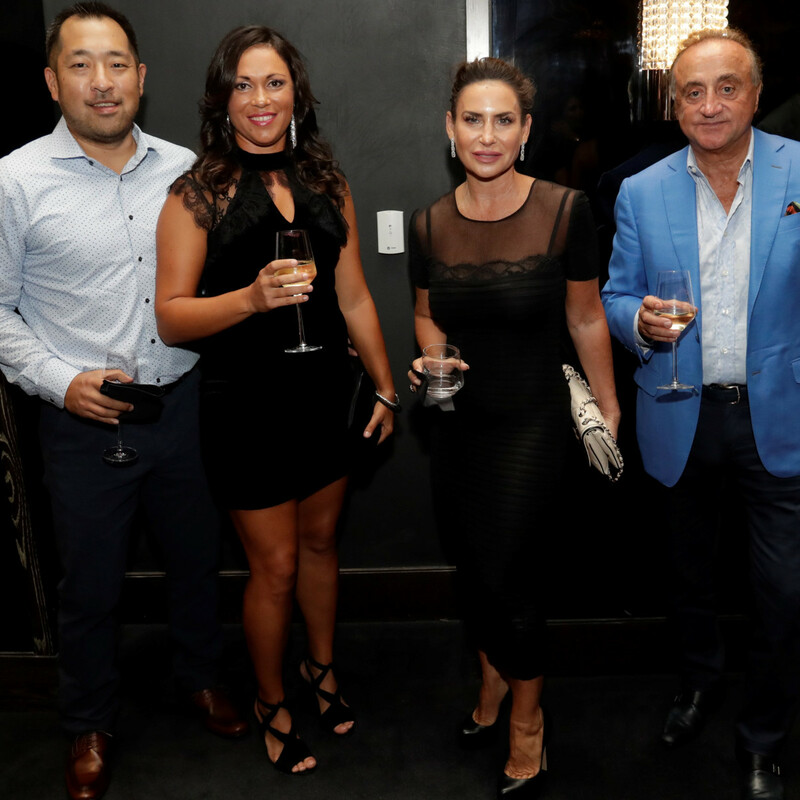 The night before, the Nowitzkis hosted a star-studded dinner and live auction at the Joule in downtown Dallas. 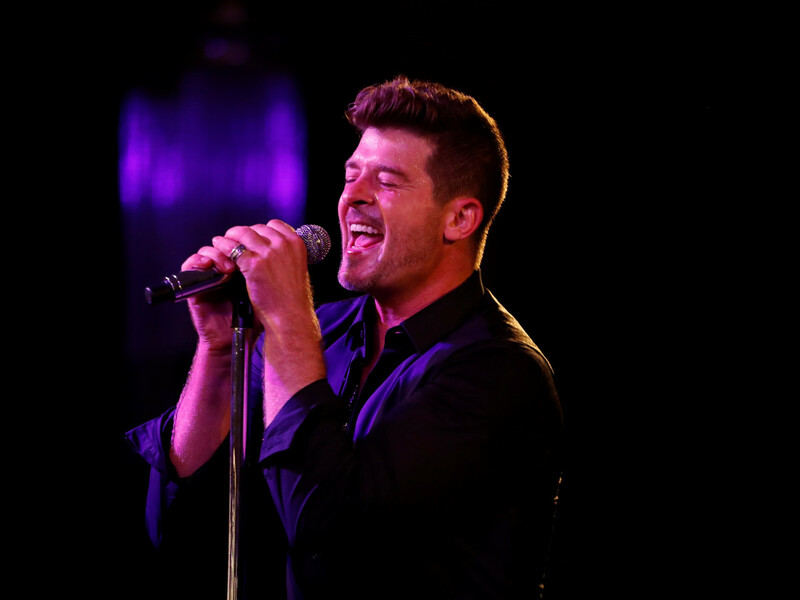 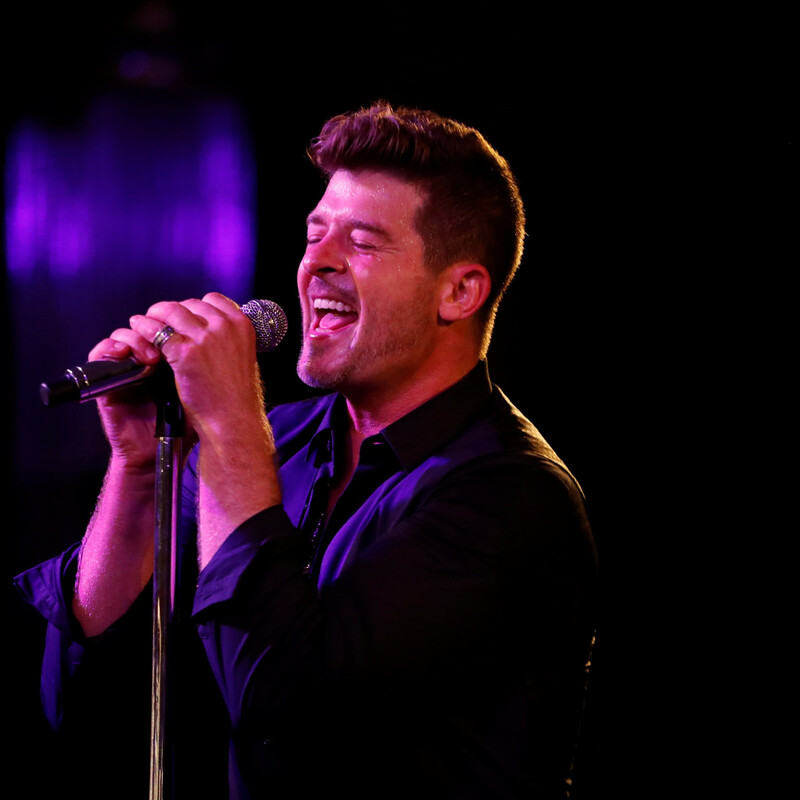 Guests, including Dallas Mavericks players and coaches, also were treated to a performance by hit singer Robin Thicke. 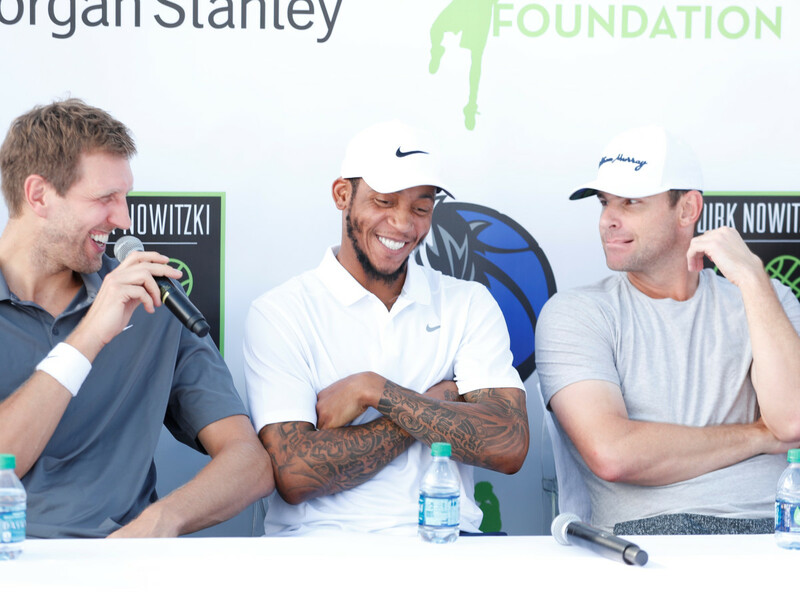 "We much, much appreciate the support from the team," Nowitzki says in a release. 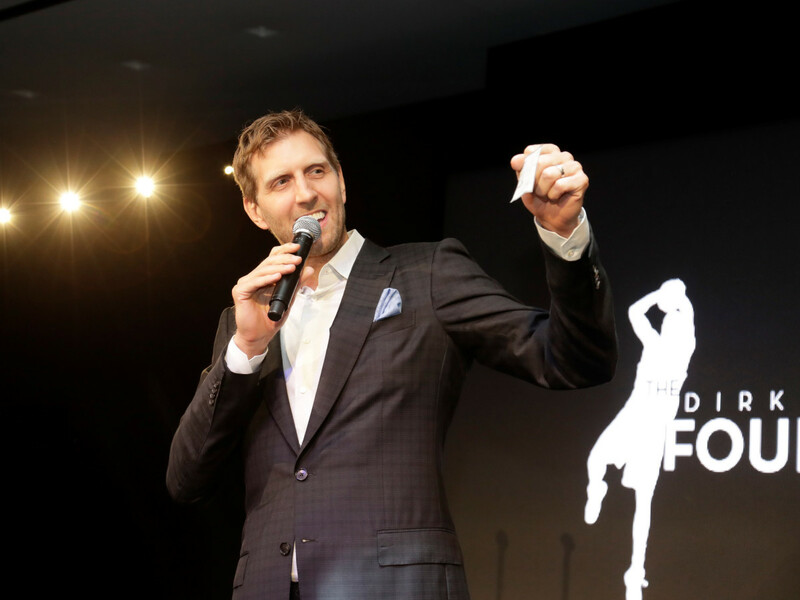 "It was a good weekend and good support from the Mavs family for sure."